One of the hallmarks of FIELD magazine has always been its attention to what poets have to say about poetry. Many of these essays--by William Stafford, Denise Levertov, Gary Snyder, Adrienne Rich, Donald Hall, Robert Bly, and Sandra McPherson, among others--have become classics. 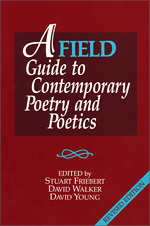 This revised and expanded collection of essays from the magazine provides a rich and stimulating perspective on the state of contemporary poetry, as seen through the eyes of the poets themselves. James Wright: A Response to "The Working Line"
Charles Simic: Images and "Images"
Günter Eich: Some Remarks on "Literature and Reality"